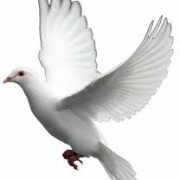 "As I was holding the dove my heart was beating so fast. and when I released it, the whole world knew too. 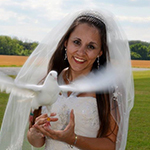 It’s not just releasing a dove …it’s releasing my love"
We supply Wedding Doves and Funeral Doves for release in Essex, Kent and London. 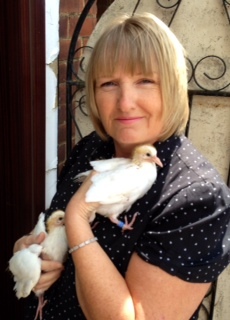 Hi, I’m Cathy and I am the proud owner of 85 beautiful white homing doves that primarily are my pets, but they are available to hire for weddings, funerals and other special occasions in Essex, London or Kent. I spend most of my time with them, ensuring they are healthy, happy and in pristine condition. to my garden after their release. wherever they want all day. to keep them safe from cats and foxes. from 100’s of miles away, but I also like to think that they come home of their own free will because they know they are safe with me. You are welcome to come and visit at anytime, just call to make an appointment. 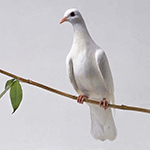 If you would like to make a booking or an enquiry, please fill in the contact form or call me for free advice regarding releasing doves. 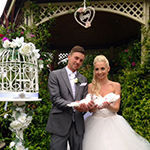 Thanks for bringing your doves for our special day. We couldn’t believe it when we saw them, what a surprise! Our friends and family couldn’t stop talking about them. I cant wait to see the photo’s. I know it sounds silly, but releasing the doves, brought me so much comfort, just like you said it would. 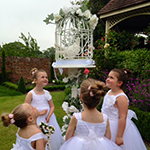 I will recommend you, you offer such a wonderful service. 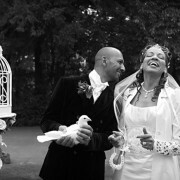 Our wedding doves were PERFECT. So sweet and friendly. 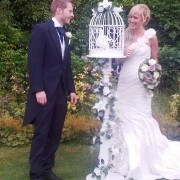 They really fitted in with our Vintage style and birdcage theme. Just to say thank you Cathy for your services today. 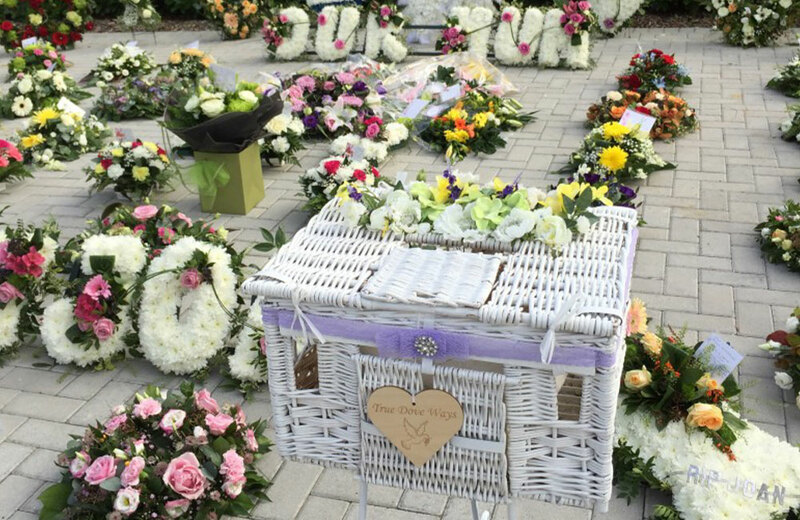 I think we gave Nan a lovely send off and your doves added the finishing touch. How kind to give us a gift, we will treasure it always.